There’s always a good back story when a city is given a nickname, whether it’s after great sports teams, the influence it has on its country, or simply a one-syllable, shortened-down version of itself. Surrounded by rivers, it gives picturesque views to visitors by land and water, and its family appeal and cleanliness have named it one of the “Best All-American Vacations” for 2014. So, let’s hear it for The City of Champions, The Steel City, or as the natives call it, The ‘Burgh, after its commitment to making kids a top priority. Anyway you want to call it, Pittsburgh is definitely one thing: family friendly! 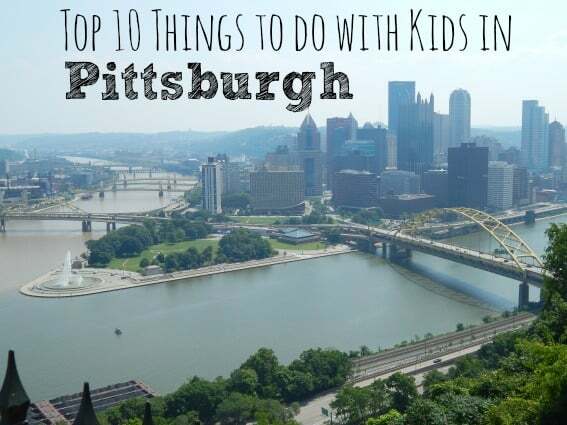 Here are the top 10 things to do in Pittsburgh with kids. A great hangout for visiting families and natives alike, Station Square is hard to miss near one of Pittsburgh’s three rivers. 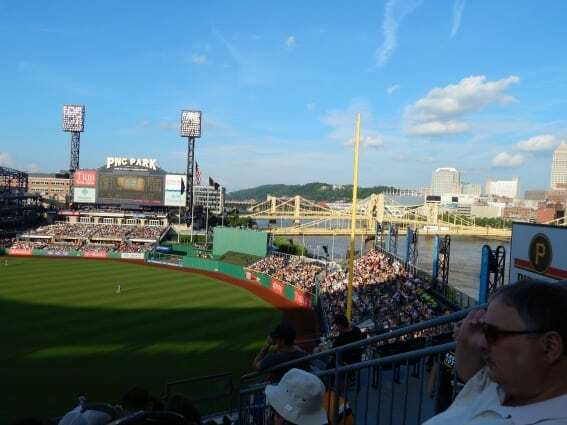 Once a major train stop in Pittsburgh, Station Square is now one of the top spots to catch a boat ride, catch a ball game, or simply hang out and enjoy a beautiful view of the city. Top-of-the-line restaurants, great live shows and concerts, and a water and light fountain show in the warmer months give families a reason to pack the sunscreen and the kids’ swimsuits for a fun (and free!) spot to relax and cool off. Looking for an area of town to stock up on local produce, baked goods, and devour fabulous ethnic cuisine? 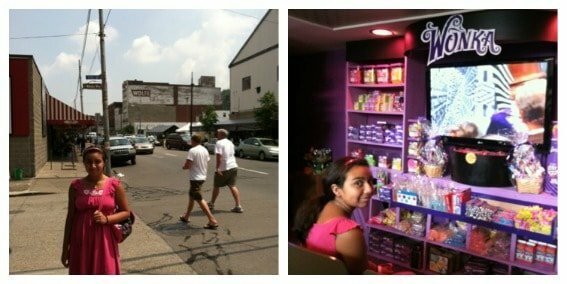 The Strip District is THE spot for all three! Jam-packed into a one-half square mile in the northeast area of downtown Pittsburgh, it’s a great way to get out and get some exercise while feeding filling those stomachs with cost-effective choices. Wholey’s Fish Market will give the kids something to smile about with its singing pigs, overhead train, and tanks of live fish and lobsters. Grandpa Joe’s Candy Shop has a whimsical Willy Wonka theme and its filled with old-fashioned candy. On weekends, The Strip turns into an outdoor market with vendors selling local items and food stands making and selling freshly prepared ethnic foods and desserts. Heinz History Center is located on Smallman St. in The Strip and shows visitors 250 years of Pittsburgh history. The Allegheny and Monongahela Rivers converge to make the Ohio River, and Pittsburgh has fun options for checking out the city with an aquatic edge. Just Ducky Tours gives families the best of both worlds by touring the city on wheels, then heading into the water in an amphibious truck. Once afloat, the truck becomes a water vehicle and takes passengers on a smooth ride even letting kids take the wheel for a few minutes! 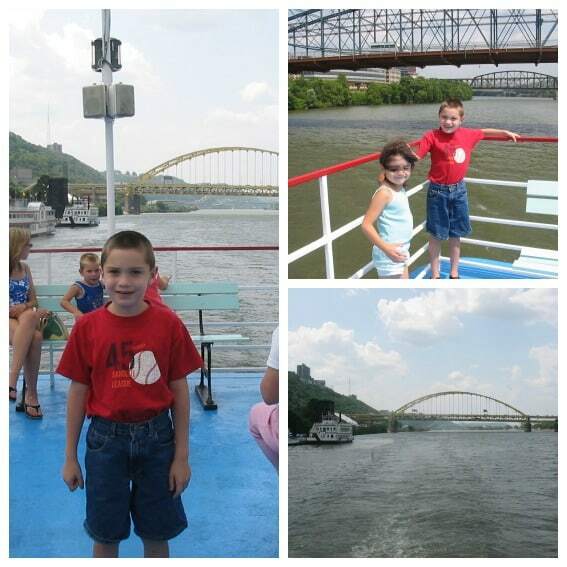 Gateway Clipper Fleet has five riverboat-style vessels that take passengers on daily sightseeing cruises and fun family friendly tours of the city. Good Ship Lollipop cruises and ice cream socials cater to kids and provide an hour on the water packed with fun and fine desserts. Gateway Clipper Fleet will also safely carry families to the North Shore for baseball and football games without having to worry about finding a parking space. 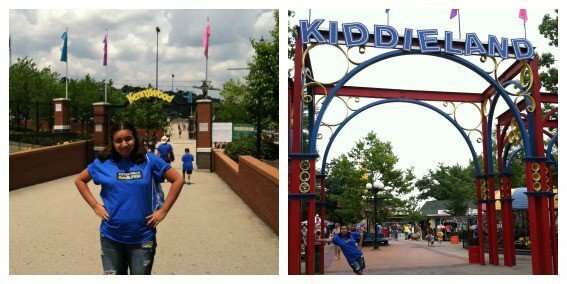 For over 110 years Kennywood Park has provided fun and thrill rides in a laid-back setting. Families with younger kids can even have a blast without stepping foot on a coaster. Just check out the old school rides like the Auto Race with vintage cars on a wooden track , the Olde Kennywood Railroad with its scenic views of The Monongahela River, and The Whip, Kennywood’s oldest flat ride. Adrenaline lovers with be thrilled with Phantom’s Revenge, one of the fastest coasters in the world. Great park food, fun midway-style games, and Kiddieland round out a fun-filled day in the historic park. There’s an avid sports fan on every corner in Pittsburgh. Catching a game is a snap with three major teams: The Pirates, Penguins, and Steelers. PNC Park, voted the #1 baseball park in the country and the home of the Pittsburgh Pirates, is known for its food offerings from Pittsburgh-style sandwiches to sushi. Also on The North Shore is Heinz Field where thousands visit during every Pittsburgh Steelers’ home game. Hockey fans can catch a glimpse of the ice that the Pittsburgh Penguins call home in Consol Energy Stadium and interact with the fun, handrail-sliding mascot, Iceberg. Kids and animals go together like peanut butter and jelly, and Pittsburgh Zoo and PPG Aquarium is a roarin’ good time! At Kids Kingdom, there’s a climbing area with a deer yard, the indoor Worlds of Discovery where kids can see eye-to-eye with meerkats, and a hands-on spot where they can touch live, hand-held animals. Oh, and speaking of animals, Pittsburgh Zoo and PPG Aquarium is the home to literally thousands of furry, fuzzy, feathered, or slithering creatures and boasts over 400 species. With 22 endangered or threatened species at the zoo, the zoo’s conservation efforts make it a leader in animal protection and preservation. At one point, Pittsburgh was the home to 14 inclines that were used by workers (and their horses!) as a means of daily transportation to and from their jobs. Today, only two inclines are still in use and they offer the perfect way to get a bird’s eye view of Pittsburgh and its vicinity. 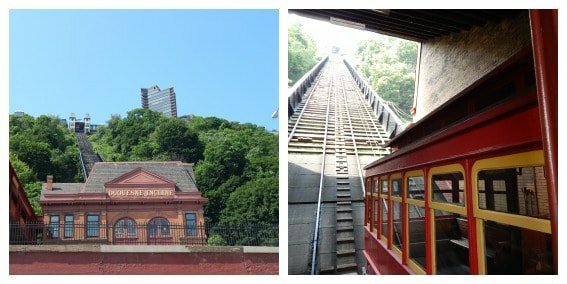 The Duquesne Incline is popular with tourists and its 58% grade goes straight up to The Mount Washington Overlook. The Monongahela Incline near the Smithfield Street Bridge has a 78% and runs all four seasons. Pittsburgh has transformed from the Steel City where steel mills and industrialism were at the forefront to a city of education and technology. The North Shore is a mecca of educational opportunities, and kids will have such a blast that they won’t even realize they’re learning! Carnegie Science Center and and Highmark Sportsworks has four floors of fun with a robotics exhibit, saltwater aquariums, a planetarium, and a chance to outrun an Olympic athlete. The National Aviary has more than 150 species of birds and its daily interactive shows give kids a chance to feed them by holding up tasty snacks – worms! 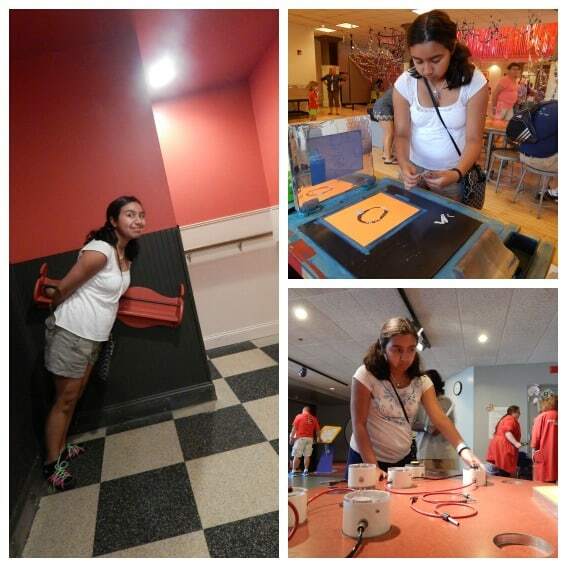 The Children’s Museum of Pittsburgh is all about combining creativity and educational play. Kids can dress up and put on a show in the theater, make paper or silk screen masterpieces in the studio, and even test drive a smart car or play hide-and-go-seek inside 7 foot-tall tires. The Andy Warhol Museum is geared toward older kids and adults who want a glimpse of 1960’s pop culture and the famous man behind the Campbell’s soup can art. A trip to Carnegie Museum of Natural History is a must! Dinosaurs in Their Time, an immersive, interactive exhibit, is a hugely popular area that will make families feel like they’ve backtracked millions of years to the Mesozoic Era when dinosaurs ruled the world. After checking out the on-site paleontologists cleaning and preserving dinosaur bones in the PaleoLab, the kids can dig for dinos in the Bonehunters Quarry with real tools and goggles. Upstairs in the Anthropology Hall, the Walton Hall of Ancient Egypt and Polar World will show kids what life was like in the time when pharaohs ruled over Egypt and what daily life is like for Inuit Indians. Pittsburgh’s gem, Point State Park, is where The Allegheny and Monongahela Rivers converge to form the Ohio River. At the tip of The Golden Triangle, the park is home to running trails, boat docks, and a beautiful covered walkway where kids will happily test out the acoustics. Seasonal festivals and concerts are a focus of the park, and tens of thousands pile in to watch the famous 4th of July fireworks display every year. The Fort Pitt Museum tells the tale of Pittsburgh’s important role in the French and Indian War, while the Fort Pitt Blockhouse is the only remaining original structure. 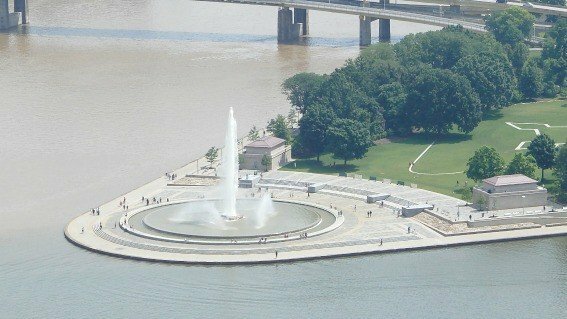 The park’s most prominent feature is the Point State Park Fountain, which shoots water up to 150 feet in the air and draws thousands of families every year. Looking for a great place to stay while visiting Pittsburgh? Omni William Penn puts luxury first and caters to kids by serving afternoon tea in The Terrace Room Restaurant and a nightly snack of chocolate chip cookies and milk. Wyndham Grand Pittsburgh Downtown is across the street from Point State Park with breathtaking views of the city and is within walking distance of The North Shore, giving families a reason to park the car and get out and exercise. Marriott City Center is only a few minute’s walk from Consol Energy Center and the Steel City Plaza allowing families to hop on the “T” and head to multiple downtown locations for free. Pittsburgh is having a cultural explosion right now, and the easiest way to take it in it is by checking out the fabulous cuisine! A visit to The ‘Burgh would not be complete without a meal at Primanti Bros., where it’s all about the sandwich. This no-frills restaurant serves its famous sandwiches loaded with fries and coleslaw on deli paper. Wholey’s Fish Market in The Strip District serves everything from deli sandwiches to freshly prepared sushi. Church Brew Works has fabulous pierogies and, you guessed it, beer! The ever-changing specialty brews are definite crowd-pleasers. Eat ‘n Park is a Pittsburgh classic restaurant and has smiley face cookies that all will enjoy. 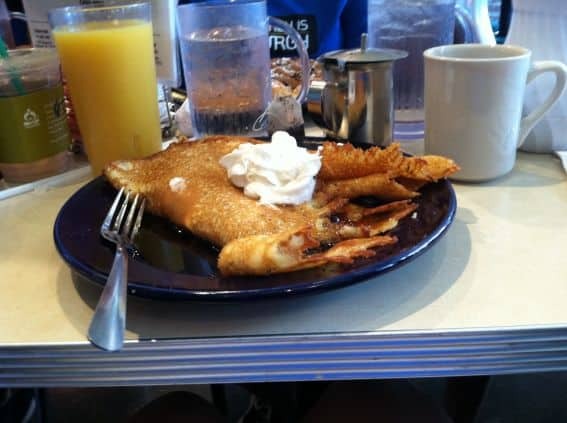 Pancake lovers will appreciate a visit to Pamela’s P&G Diner where the pancakes are so thin and tasty that ordering large plates stacked tall is the norm. 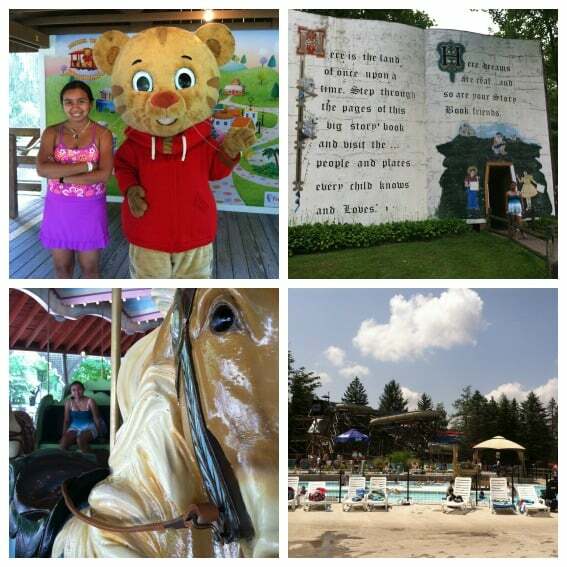 An hour southeast of the city is Ligonier, PA, the home to Idlewild Park and SoakZone. Named the Best Kids Park in the World in 2013 by Amusement Today Magazine, Idlewild Park is the spot where Pittsburgh natives flock to enjoy classic rides, games, and food. Storybook Forest brings to life classic nursery rhymes and lets visitors meet and greet their favorite characters from the tall tales. SoakZone is attached to the park; this outdoor waterpark has tube slides, a wave pool, and Captain Kidd’s Adventure Galley with kid-friendly tube slides and interactive water play features. Historic Ligonier Valley sends families on a trip back in time with quaint shops, Linn Run State Park, and the Compass Inn Museum, a 1799 Stagecoach stop showing life and transportation in the early 1800’s. Architecture fans know the name Frank Lloyd Wright; two of his fabulous works of art are Fallingwater and Kentuck Knob in Mill Run, PA. Fallingwater was constructed in 1936. It was the child of Wright and Edgar J. Kaufmann and shows their understanding that man and nature can and should live in harmony with nature. Built on top of a waterfall at Bear Run, the house looks as though it defies the laws of nature. Kentucky Knob is only 15 minutes away from Fallingwater and is an equilateral triangle using local materials for its construction. What comes to mind when thinking of Erie, Pennsylvania? Water, of course! Situated on the Shores of Lake Erie, this town is a two-hour drive from Pittsburgh and full of great beaches and nature experiences. The expERIEnce Children’s Museum holds daily discovery camps and educational programs for kids 6 months old and up. Erie Playhouse is one of the oldest community theaters in the country with renowned plays and a Youth theatre. Animal lovers will have a great time checking out Erie Zoo and Botanical Gardens. 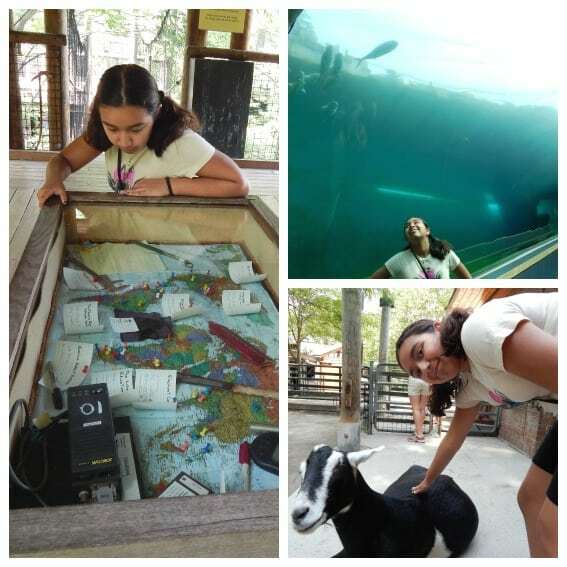 Disclosure: My family was hosted by Visit Pittsburgh for the purposes of this post and reviews on Trekaroo. While I appreciated the hospitality, all opinions are my own.